Most people make a New Year’s resolution related to their health. But by the end of February, more than 75 percent of them have given up on it. If one of your resolutions was to get healthy in 2012, don’t despair. You can do it with these five ways to get healthy, starting now. So listen up! This could be a life-saving Friday Five. It’s as Simple as 1-2-3-4-5! Even a busy lawyer can fit in the basics of a healthy lifestyle with a little advance planning. In fact, you’ll find yourself better able to take on that hectic schedule once you ramp up the old health indicators. 1. Take a daily multivitamin. The easiest and most efficient way to improve your health is to take a daily multivitamin with minerals. Put the bottle of vitamins on your desk and take the daily dosage at the same time every day. 2. Drink more water. Without sufficient water, you become dehydrated and may suffer from headaches, tension and cravings. Drinking water can alleviate these symptoms and even promote weight loss by speeding up your metabolism and lessening your desire for food. Increasing your water intake also allows your body to efficiently eliminate toxins, which can resolve problems like acid reflux, ulcers and gastritis. To stay hydrated, drink at least 64 ounces of water each day. 3. Limit that “cheap” source of energy: sugar. Think sugar is a good source of energy? Think again. While sugar may provide a quick burst of energy as it spikes your blood sugar, it ultimately causes an energy deficit—the “sugar crash”—that causes fatigue and exhaustion. Avoid refined sugars (called sugar, sucrose, high fructose corn syrup, glucose or fructose) and replace them with whole foods and natural sweeteners. Whole foods that provide natural sugars are fruits (dates are a really good one) and cooked sweet vegetables (sweet potatoes, yams, carrots, squash and beets). Natural sweeteners include raw honey, real maple syrup, molasses, stevia, agave nectar, brown rice syrup and date sugar. 4. Eat mindfully. We often eat while we are working at our computers, watching TV or on the run. And we usually eat more than we need when we aren’t focusing on our food. Instead, try paying attention to what you are eating. Look at your food before you eat it. Smell it. Savor it. Also mindfully measure your serving in advance to control your portion size. 5. Get regular exercise throughout your day. One important fact about exercise: A little bit goes a long way. This is particularly true for aerobic exercise because it increases the oxygen in your body, which can improve health, both mental and physical, and aid in digestion, circulation and respiration. When it comes to trying to fit daily exercise into an already full schedule, get creative and think simply. Walk or bike to and from work. Take the stairs. Get off the bus a few stops before your destination. Get on the treadmill for a quick 15-minute run. Go for a hike on the weekends instead of to the movies. And every day, stand up in your office, take a stretch break and walk the halls for a few minutes during every hour. So keep up that busy schedule, and get healthy, too! Jamie J. Spannhake is a lawyer, certified health coach and blogger. After working for a large Manhattan law firm for six years as a commercial litigator, she founded her own practice serving clients in New York and Connecticut. She focuses on wills, residential real estate and business transactions, and provides legal research and writing services for other lawyers. As a health coach, she works with individual clients—mostly lawyers—to help them achieve a healthy balance in their lives. Jamie Spannhake is a lawyer, mediator and certified health coach. 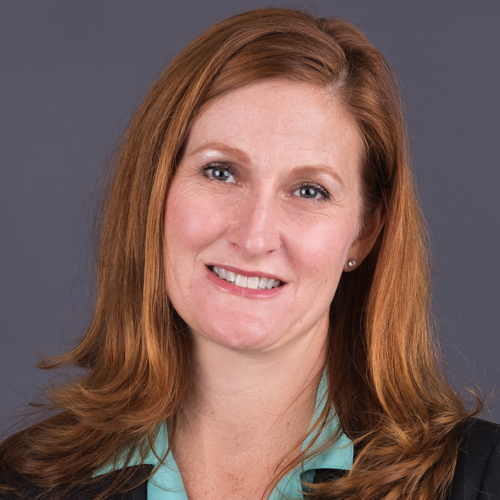 She is a partner at Berlandi Nussbaum & Reitzas LLP, serving clients in New York and Connecticut, practicing in the areas of commercial litigation, estate planning, residential and commercial real estate, and business transactions. She writes and speaks on issues of interest to lawyers, including time and stress management, health and wellness, work-life balance, and effective legal writing. Follow her on Twitter @IdealYear.